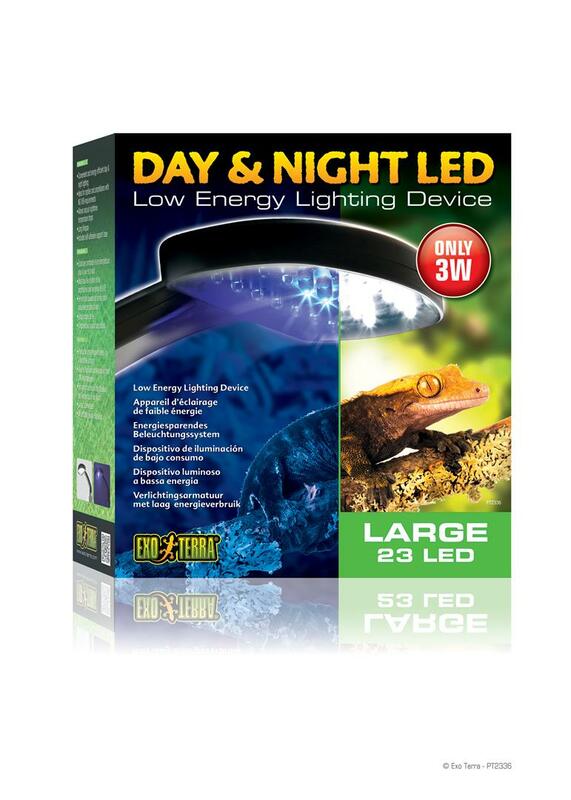 Exo Terra Day & Night LED Fixture Large PT2336 | Livefood UK Ltd.
(1) The bright white LED's create a nice daylight, while the blue LED's mimic a moonlight shimmer that enable you to observe your animals at night without disturbing their natural behavior. The dim light of the blue LED's allows nocturnal animals to navigate in their territory in search of insects, mating-partners, etc. whereas in total darkness they would be completely disoriented. (2)Simply tap the Day/Night logo touch button to switch (3) from bright daylight to blue night light. 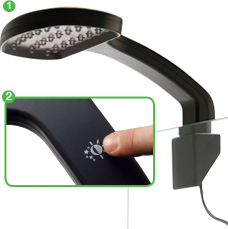 The Exo Terra Day & Night LED is the most convenient and energy efficient way to illuminate your terrarium day & night. 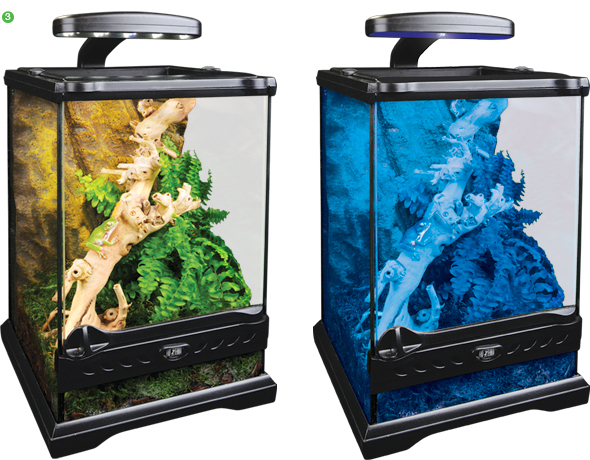 Conventional lightbulbs waste more than 80% of the used energy in the form of heat, whereas the Exo Terra Day & Night LED illuminates your terrarium with a minimum of heat and a maximum of light output.